Even large luxury homes require space to be used efficiently to avoid clutter, and there’s no better tool to achieve that efficiency than a wall bed. Your bed takes up a lot of valuable floor space, especially if you sleep in a queen or king-sized bed. You’ll be amazed at how large your bedroom feels when you fold up the bed. Wall beds also you keep an open floor plan without sacrificing your privacy, which is especially useful in a loft. Wall beds in Toronto are the perfect solution for guest bedrooms. Space is at a premium in Toronto homes, and wall beds will allow you to host guests without taking up extra space in your room. Just pop up the bed and invite your friends in. When upright, wall beds can be tall, stately cabinets that offer extra closet space on the sides. Or, you can opt to place book shelves around your bed instead. Do you want an elegant, minimalist, or rustic bed? We can design and manufacture your wall unit to fit any style that complements your décor or preferences. Installing a wall bed will allow any room to do double-duty as a guest room. The extra ‘bedroom’ added to your home will enhance the value of your home and its appeal to home buyers. Wall beds can be installed in home offices and basements for convenient sleeping space for guests (or yourself!) without disrupting your home’s layout. 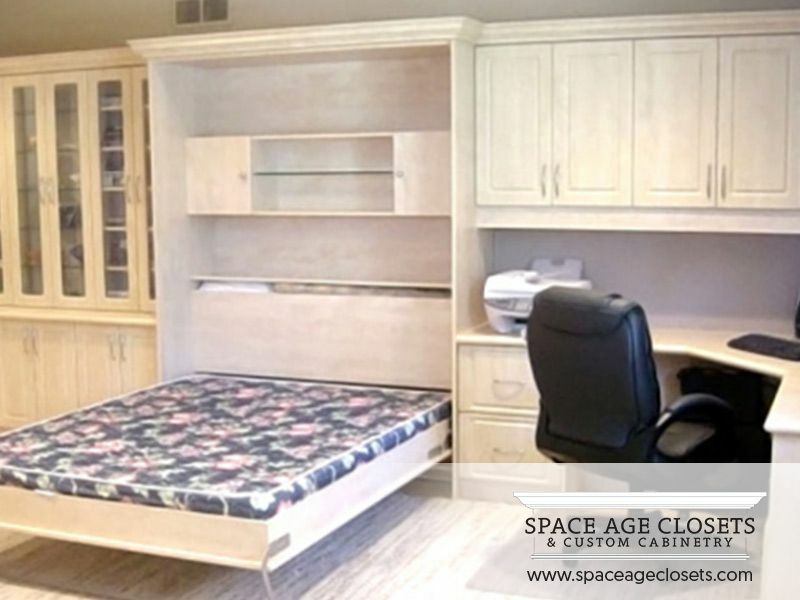 For high-quality, custom wall units in Toronto, contact Space Age. We design, manufacture, and install our products to ensure they’re customized to your exact needs and specifications. Take advantage of our free in-home consultation and see how our experts can transform your space.